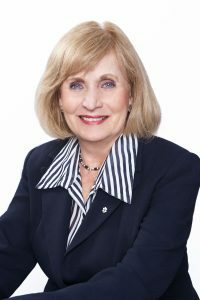 Janice MacKinnon is a Fellow of the Royal Society of Canada, a member of the Order of Canada, and a former Saskatchewan Finance Minister. She is the author of three books: The Liberty We Seek, published by Harvard University Press; While the Women Only Wept; and Minding the Public Purse. Between 1991 and 2001, Janice was a cabinet minister in Saskatchewan and held various portfolios including Minister of Finance, Minister of Social Services, Minister of Economic Development, and Government House leader. During her tenure as Finance Minister, Saskatchewan became the first government in Canada to balance its budget in the 1990s. Janice is currently a Professor of fiscal and health policy at the University of Saskatchewan. She also sits on various boards and provides commentary and analysis of Canadian fiscal issues, health policy and politics. In 2009, Janice was appointed to the National Task Force on Financial Literacy. In 2010, Federal Finance Minister Jim Flaherty appointed her as Chair of Canada’s Economic Advisory Council and in 2014, Finance Minister Joe Oliver extended her appointment as Chair of the EAC. In 2013, Janice was chosen as one of Canada’s top 25 Women of Influence.